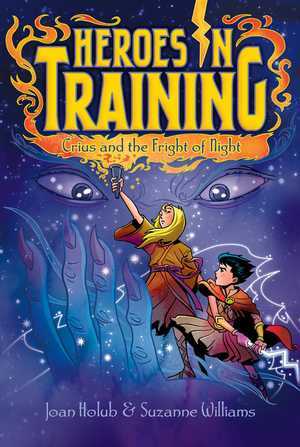 Zeus and the Olympians head to the Peloponnese to save Apollo’s twin sister, who’s under a sleep spell, in this Heroes in Training adventure. Zeus and the Olympians are off to find Apollo’s twin sister, Artemis, who was captured by the Cronies and separated from her brother. But Titan Crius, who rules the area, has Artemis under a special spell that is making her sleep, which doesn’t make a rescue easy! Can the Olympians manage to sneak away from Crius and his pesky Pandi—warriors with ears that can hear for miles—and save a sleepy Artemis, or are they in for a tough awakening?